There are many factors your Memphis DUI lawyer will take into consideration in analyzing the DUI charges against you and preparing a solid defense to fight said charges. One major factor is your blood alcohol concentration (BAC) at the time of your arrest. BAC levels are often used to gauge driving intoxication. However, it is important to note that BAC levels, especially for those individuals with high alcohol tolerance, may not really correlate with intoxication. There are several hypotheses, based on extensive research, that attempt to explain how alcohol tolerance actually develops. According to one hypothesis, continuous alcohol interference makes cell membranes become stiff due to an increased level of saturated fat or cholesterol in the membrane. According to another hypothesis, alcohol interferes with the sodium and potassium channels in the membrane, which are needed for normal cell impulses. With continuous consumption of alcohol over a period of time, the enzymes responsible for activating the sodium and potassium channels will get used to working in overdrive in order to compensate for the alcohol interference. A third hypothesis theorizes that an individual’s continuous alcohol consumption significantly alters the way that neurotransmitters, GABA and serotonin, and brain alcohol dehydrogenase function. 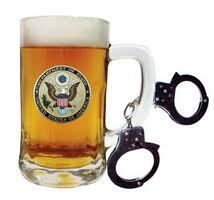 Your Memphis DUI lawyer may be able to use these hypotheses of alcohol tolerance to build a defense for your DUI case. What Happens as a Result of Alcohol Tolerance? Once your body develops a tolerance for alcohol, you become desensitized to the effect of alcohol. You will need a greater dose of alcohol to get the same effects as you previously did with smaller doses. Individuals who consume a lot of alcohol may get greater stimulant-like reactions while at the same time experiencing less of the sedative-like adverse side effects that are common in novice drinkers. In fact, alcoholics become increasingly tolerant of alcohol at higher blood alcohol concentration (BAC) levels, including levels that are potentially deadly. For more information regarding how alcohol tolerance may impact the DUI charges against you, call Memphis DUI lawyer David Willis at (901) DUI-DAVE.